Silver Birch look the part on a cold and frosty morning. The white or silvery trunk looks good singly or when grouped together. Height up to 100 feet 30m narrow spread. Leaves – Green and triangular shaped with toothed edges. Flowers Male and female catkins borne on the same tree. Male are yellow and drooping female green and upright, later pendulous when fertilised. Bark Silver white with black fissures. European origin found throughout Europe, western and northern Asia. Seeds prolifically and is found in Canada, Scandinavia, Turkey and widely spread as a specimen ornamental. The fine twiggy branches are used for brooms and besoms as well as racecourse jumps. 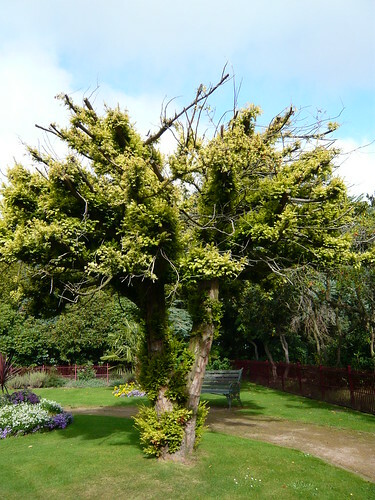 Used as an ornamental tree in parks and gardens. Silver birch is popular in Finland where it is the national tree used in forestry and as branches to beat yourself in the sauna. Historically the paper like bark was used in ancient times for writing Sanskrit texts and it is still used today for sacred mantras. Silver Birch grow in a cool climate and enjoy an occasional winter snowfall. They are fast growing, shallow rooted that may require water during dry periods. They grow best and show most colour in full sun planted in deep, well-drained soil.. Trees are short lived and rot from damage so dislike pruning. They are often planted amongst leafy rhododendrons and conifers where the white bark is particularly striking. 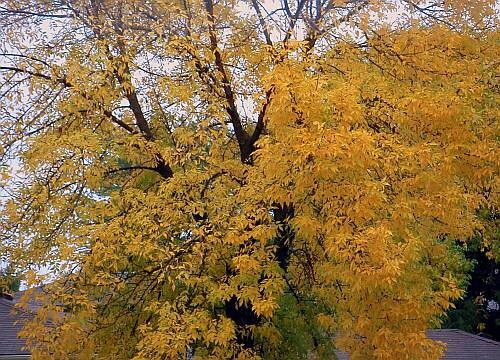 The deciduous foliage turns yellow in autumn. I used to think Beech trees grew on the beach but now I know a little better but not much. 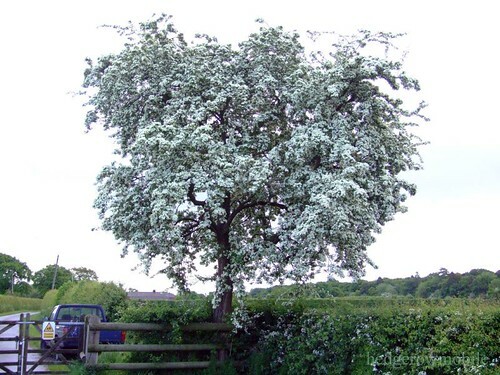 This is one of the UK’s most useful trees and deserves to be grown where ever space permits. Leaves – Light green turning deeper in summer are ovate shaped with wavy edges. Decorative in autumn with copper and russet foliage. Flowers Male are in yellow pendulous clusters whilst female flowers are inconspicuous in leaf axils on the same tree. Grows widely throughout Europe and likes chalky and limestone areas. Native to England it may have been introduced by stone age man for the food property of the nuts. 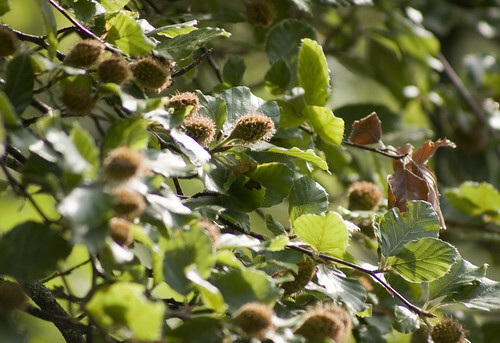 Beech nuts or ‘mast’ are still used to feed pigs and parkland deer. Wood from the beech is tough and used for flooring and furniture. 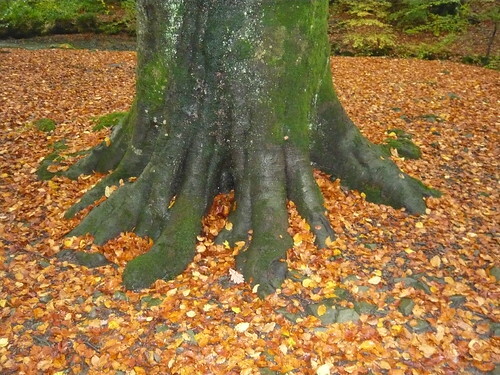 Beech woodlands often act as home for mushrooms. Beech fruit are edible and have a nutty flavour but should not be consumed in great quantity as they can be toxic. Beeches can live for 300 years and are used as wind breaks and field markers as well as part of mixed hedges particularly when young. Wood from the beech is used as a fuel. Leaves remain on the tree until the spring making beech popular as a hedge. Wood is easy to turn and work for carpentry particularly if soaked first to make it pliable. Limited topiary is possible with a beech tree. Older trees have buttresses to improve stability. Copper Beech or Purple Beech Fagus sylvatica Purpurea atropunicea has purple leaves some turning deep green by mid-summer. A narrow cultivar of beech Fagus sylvatica ‘Dawyck’ develops into a striking cone shape. The artificially expanded lake and woodland is adjacent to, and to the north of, West Park Local Nature Reserve. The two areas are separated by Rocks Road (the B2012 Uckfield / Piltdown road). Both areas formed part of the Rocks Estate, owned for 200 years – and landscaped in the style of Capability Brown – by the Streatfield family. A tunnel beneath the dividing road (now bricked off) enabled carriage access to the lake from Rock House. The area has numerous Ardlingly Sandstone outcrops. Where these obstruct the path around the lake, a tunnel – and also steps leading down to an underground boat house cave – were excavated. 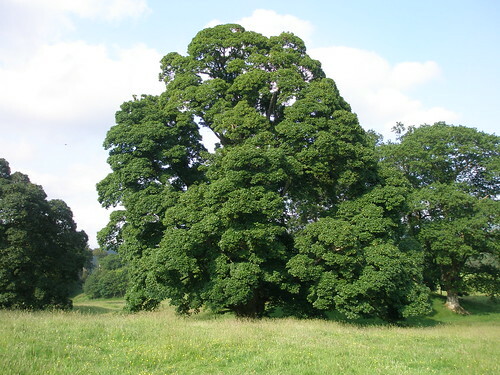 Common Ash trees row widely in the UK and other Ashes grow in Asia and America. 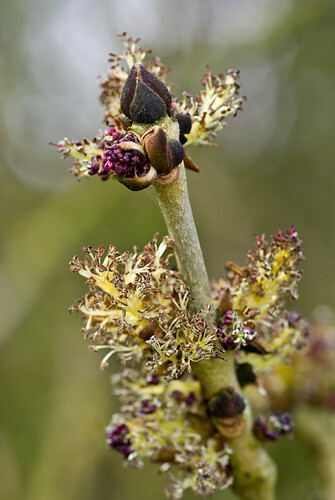 Our Ash has dark almost black buds and some species have interesting flowers but it is as a tree the provided wood to make bows that the Ash is best known in Britain. Grows widely across Europe and there are many North American species. Tolerant of wind swept and coastal areas. Ash can make a noble shade tree quite quickly. Use to make bows, hurling sticks, baseball bats and historically car and plane frames. Strong, flexible and easy to turn the wood also burns well and is used in some smoking. Select a smaller growing variety like the Manna Ash. Dislikes sandy or acid soil. Weeping Ash make a statement tree. 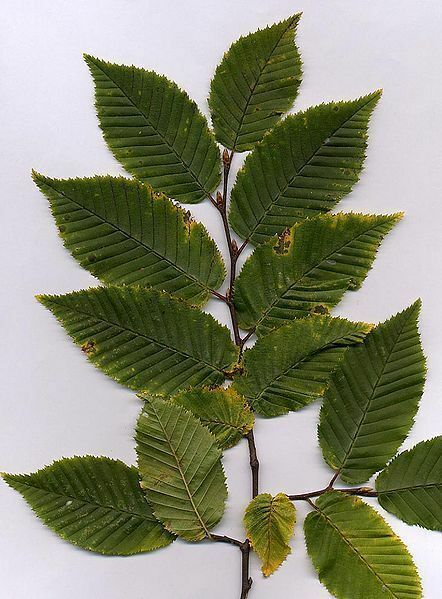 Members of the Sorbus family, Mountain Ashes or Rowans are unrelated. 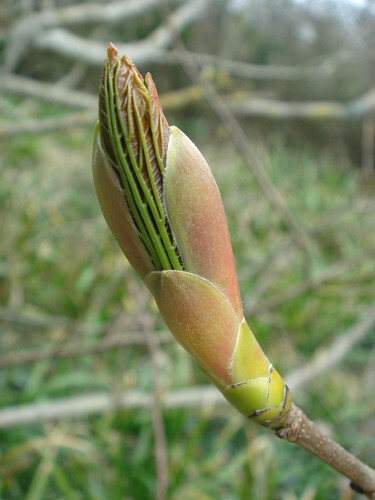 Fraxinus is an extensive genus of hardy Ash trees including White Ash or Autumn Purple Ash, Black Ash, Blue Ash, Singleleaf Ash and Fragrant Ash. The Ornus group of Ashes are attractive flowering trees also called Manna Ash. In Norse mythology the first man was made from Ash. The Sycamore is a picturesque tree the largest member of the European maples. 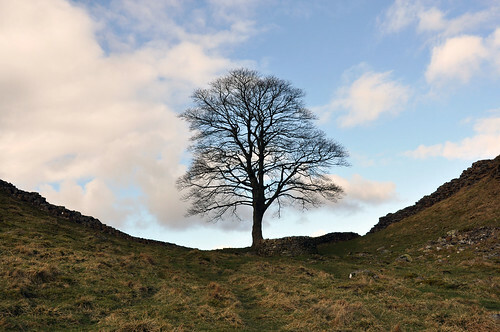 It is one of the most common trees in the northern temperate zones enjoying exposed situations in most types of soil. Latin name – Acer pseudoplantanus – other common names; False plane-tree, Scottish maple, or mock-plane. Fruit – Winged keys in pairs. Western Europe and Northern temperate zones. Colonises open ground with some success. Strong creamy white timber is not durable outdoors. Sycamore is used for flooring, furniture making and joinery. The seeds are held in pairs with wings that allow the seed to spin and ‘helicopter’ down some distance from the aprent tree. Leaves can attract a fungus that leaves the leaves with unsightly black or red spots . 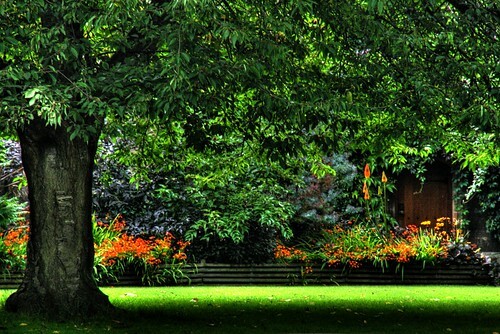 The mature trees have a large canopy and are not suitable for small gardens. Sycamores are not to be confused with Plane trees the ‘American Sycamore’ Platanus occidentalis, Platanus racemosa or Platanus wrightii the Arizona sycamore nor with Ficus sycomorus a fig. Atropurpureum has purple undersides to the leaf and ‘Brilliantissimum’ is a cultivar notable for the bright salmon-pink colour of the young foliage. Sycamore was the favoured wood for making ‘love spoons’ in Wales. These wedding gifts are linked with rings and were traditionally made from a single peice of wood. The Drumlanrig Sycamore is reputed to be the UK’s tallest sycamore.It dates back to the 18th Century and is one of the largest girth and spread in Britain. It is one of Scotland’s top 100 Heritage Trees. The slow growing Yew is one of the longest lived trees capable of living for thousands of years. Britains oldest Yew in Fortingall is believed to be over 3000+ years old. Native to the UK, western, central and southern Europe and as far south as northwest Africa. 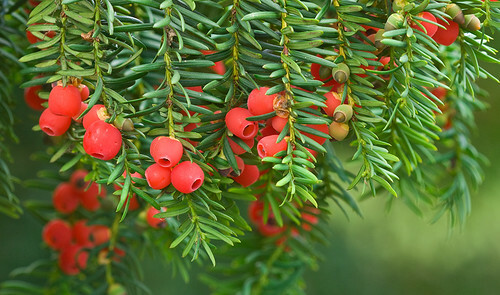 All parts of the Yew are poisonous and should be treated with care. There are new compounds (taxol) being developed from the tree to fight cancer. The wood is hard, elastic and resistant to water. It was used to make long bows. The Yew is associated with folklore and is often found in churchyards. 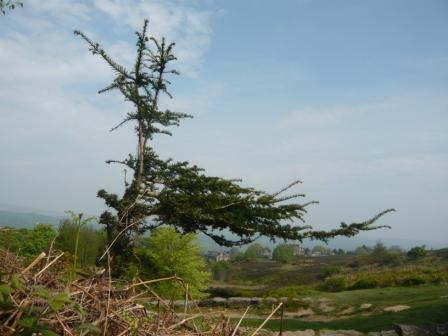 The yew can be clipped or pruned into topiary and makes a good hedge or wind break. As it is slow growing it is easy to keep it within bounds. Old trees can have a girth of 20-30 feet. Will grow on dry chalky soils and in the shade. Taxus boccata ‘Erecta’ is a columnar form worth growing in your garden. 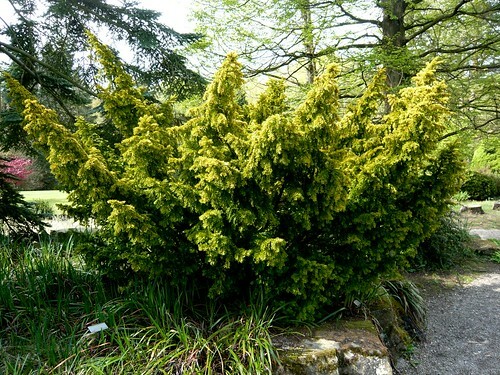 Taxus baccata ‘Fastigiata’ or the Irish Yew is one of over 100 cultivars and the several cultivars with yellow leaves are collectively known as “Golden Yew”. Taxus brevifolia or the Pacific Yew is native to northwest America. Fruit Cones are slender cylindrical and light brown. They hang down in a pendulous manner and have long jagged scales. Bark Coppery pink when young turning purple/grey and cracking as it matures. Widely grown through out Europe. In USA the Norway Spruce is planted in the northeastern and Rocky Mountain states, as well as in southeastern Canada. Norway Spruce is an important timber tree valued for long, strong and straight timber. Norway Spruce is also grown for paper pulp and general carpentry. Known for retaining it’s needles the Norway Spruce has long been a favourite Christmas tree first brought to the UK by Prince Albert in Victorian times. 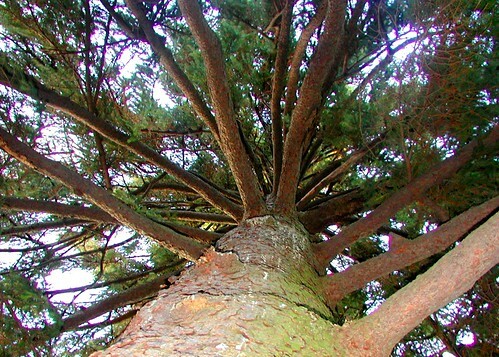 Spruce are popular as ornamental trees admired for their evergreen, symmetrical, narrow-conic growth habit. The scent of pine is redolent and natural oil can be made from the sap of this Spruce. Trees grow quickly but a rooted Christmas tree can be planted out after Christmas and brought back the following year. Keep it well watered indoors if you plan to plant your tree. Some of the best shaped Christmas Norwegian Spruce are the top few feet of a larger tree sawn down for the purpose. 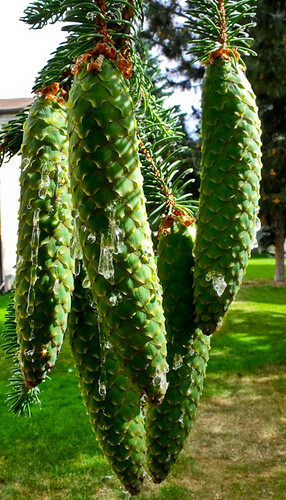 Siberian Spruce having cones about half the length of Norway spruce with smoothly rounded scales, and hairy shoots. Norway spruce is one of the most important species on the European Continent. More than 100 forms and varieties have been named. 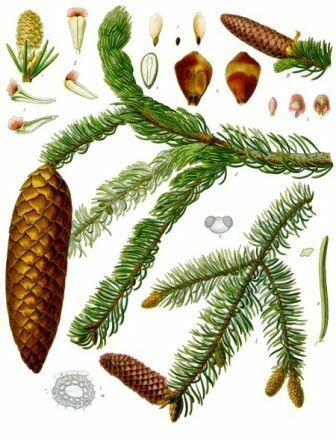 * Picea glauca, White Spruce, Picea mariana, Black Spruce, Picea rubens, Red Spruce are all part of the Picea family. 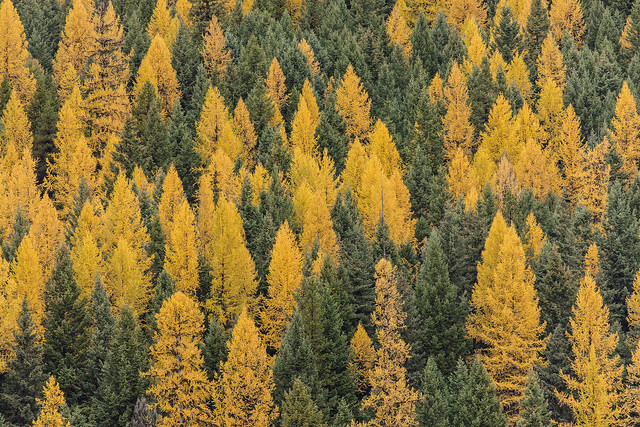 Larch trees are common in forestry plantations and high ground in the UK. Larch are fast growing and loose there leaves in winter. The wood from Common Larch trees is still used for a range of purposes. Indigenous to hilly regions of Europe. Now widely planted in north America. The Hawthorn flowers in May hence one of its common names. Gnarled old trunks give testimony to the Hawthorn’s ability to survive in exposed windy conditions. The thorns help make the tree a good hedging subject. 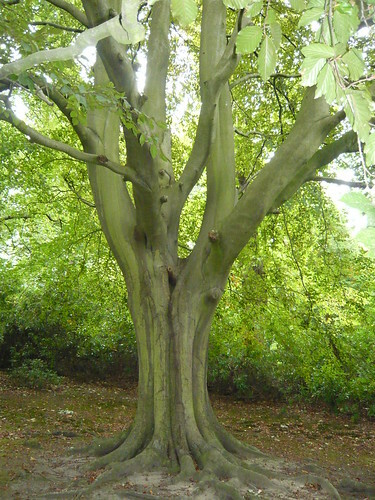 The Lime is a tall growing well shaped tree which is often grown along avenues and public places in the UK. The flowers have an exquisite fragrance. Fruit – Woody round drupe covered with grey-brown hairs dispersed on the wind by wings. 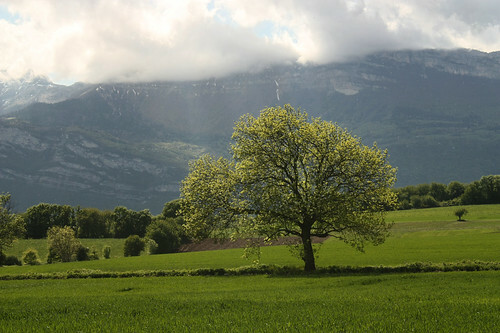 The tree is widely cultivated throughout Europe. 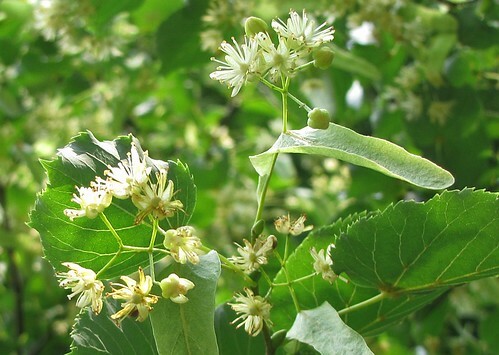 Linden trees are now popular in North America. 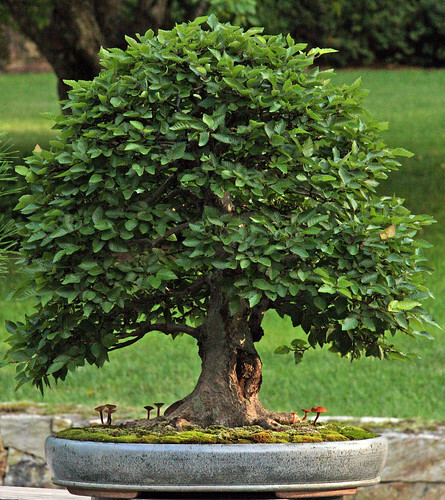 The name Hornbeam derives from ‘hard tree’ a reference to the property of the extremely tough wood. Leaves – Dark green, oval, double toothed with ridges. Found in Europe and China. Other species are also found in America. Traditionally the hard white wood was used for Ox yokes, tools, butchers blocks and mill cogs. 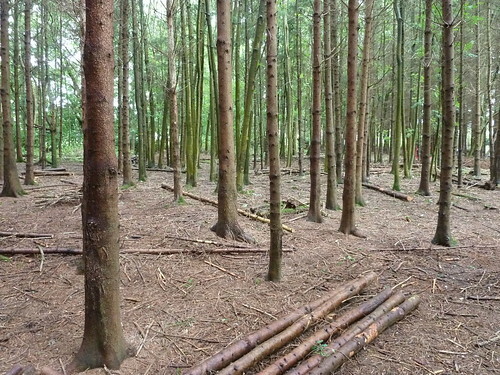 Can be coppiced for charcoal production. Makes a good stout hedge and retains leaves through autumn. Hornbeam tolerate quite deep shade. The North American species, American Hornbeam Carpinus caroliniana is similar to Carpinus betulus in leaf size and shape. 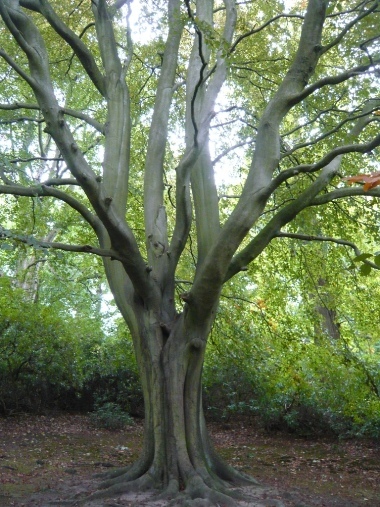 Hornbeams were once coppiced and pollarded (cut back to promote new growth) on a regular basis in its native woodlands of south and south-east Britain. 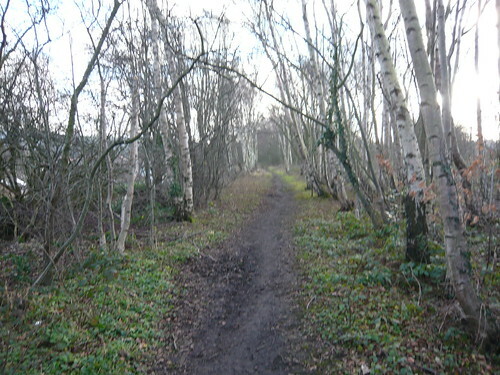 Epping Forest in Essex, where this practice took place, is now protected and is home to thousands of hornbeams that live alongside oak, beech, birch and holly trees.